As you might imagine, music has been around for quite a while. Yes, I know, that is quite a revelation! But, even before the interweb was a twinkle in the US military’s eye, the World was listening to lumps of PVC with little grooves scratched into them (LPs), along with strips of plastic with iron filings sprinkled on them (tapes). Of course, it wasn’t so easy to discover new bands back then. You’d actually have to go to a record shop and talk to people or listen to the ‘wireless’ – or even better, see a band live! My point of all this is that as much as discovering ‘new’ music is fun, some of us have mega back-catalogs with little gems hidden in them. And they, in some respects, are just as important as new stuff. That is particularly important with respect to this blog. I want to encourage the sharing of good music. Now, I have already picked up on a small flaw in this plan – this blog really is my opinion of what good music is and as some of my friends have pointed out, not everyone has the same taste as me. There’s also the argument that no music is bad. It just might not be your thing. It is art after all and someones Kandinsky might not be someone elses Van Gogh. But I like to think of myself as quite open minded when it comes to music and I hope that comes across in my blog. So I am kicking off an ‘Introducing’ section where I would like to periodically introduce you to something I have at the bottom of my record box. Some of it you might know and some of it you might not. I’d also like you lot to feel free to suggest tracks to me! If you do, I’ll check it out and I might write about it. Remember, EVERY album that I write about, I have bought the CD or LP of. No music downloads, no copies, no reliance on streaming services. Definately nothing illegal. I do use Spotify, Last.fm, MySpace etc to help find the music (there’s lots to get through! ), but if I write about it, I’ve bought it. So if you tell me about a band that I want to write about, I’ll buy their album too. If you’d like to contribute, either add a comment or email me at feedme@glcmusic.net. Now, as my regular readers will know, I recently reviewed an album by a band called Broken Bells and the guitar/vocals of that band is provided by a Mr James Mercer. He is also a singer/songwriter and lead guitarist in a band called The Shins and they are the first band I’d like to introduce. And of course, I have bought them all. That might give you a hint that I like this band. Let’s face it, I wouldn’t have wasted my hard earned nuggets if I thought they were rubbish! Having said that, one thing you will notice from their first two albums is you can listen to them back-to-back and you won’t be able to tell where one ends and the next begins. Perhaps that’s why James keeps going off to do other things but this is either a blessing or a fault. If you like their laid back sound then it is welcome. 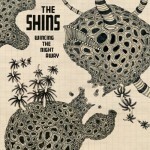 With their latest work, “Wincing The Night Away”, the pace has definitely picked up and I think it’s very welcome. This is more of an album that you can repeatedly pick up and listen too rather than background music that you kinda ignore. It’s got far more of a rhythm to it and feels more mature and better produced. I suppose you will notice a progression with any band but I think their latest work is definitely a better sound and certainly more universal without vastly moving away from their origins. So what do the first two albums sound like? Good question! I’m glad you asked. Well, clearly they are guitar based band but imagine a more country feel, with a kinda early Weezer over-tone, mixed with a Kooks acoustics set and put in a blender. Basically, despite some attempts at being more rocky, it’s lots of dreamy singing with some laid back guitars, and a gentle beat. This isn’t dancing music. Think more like Sunday afternoons, watching the bright blue sky and little fluffy clouds on a summers afternoon… and then falling asleep. That sounds really harsh and I don’t mean it in a bad way but it is chilled out music rather than anything that is going to get your foot tapping. One thing I did mention in my Broken Bells review is that Zach Braff used two of their track in the excellent Garden State film. The two in question are “Caring Is Creepy” and “New Slang” which is arguably the bands two greatest tracks, both from”Oh Inverted World”. 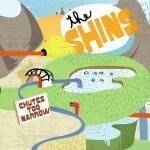 Zach hand picked the sound track to that film and in my opinion every track he picked is perfect and certainly met the tone of the film but he has a bit of a reputation for picking music for his projects and you’ll find The Shins making the odd appearance in “The Scrubs” TV program. That brings me to my recommendations. I’m not going to give this lot a ‘G’ rating as it’s a look at a back catalog rather than a specific album and it’s hard (and unfair) to attempt to summarise all of their work in a few hundred words. At the end of the day, it’s all good but for different moods – just as I’m sure the lads where in different places when they wrote each album. What I will say, however, is that if you want a modern classic, I think “Oh, Inverted World” with its two famous tracks is well worthy of anyone’s record collection. It might take a listen or two to really get it but it’s worth the effort. It’s probably ‘pure’ The Shins too. “If you’re looking for something that still harks back to its origins but with a small hit of caffeine, then buy “Wincing The Night Away”. 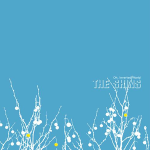 This is my favourite and most played Shins album and although it still is no Red Bull, it is a beautiful, well put together album. And it might even put a smile on your face.